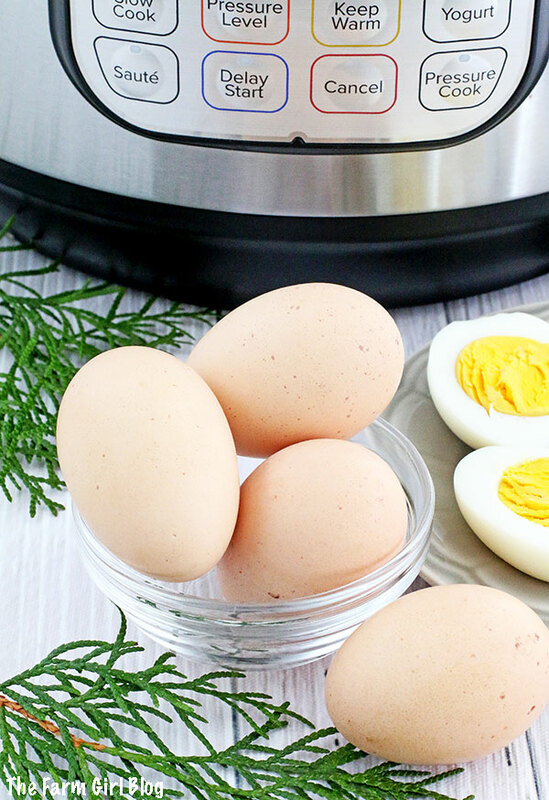 Have you ever tried boiling home eggs on the stove top? We’ve always struggled to peel the shell off the home eggs! The shell wo not separate from the egg white. You either have to hard boil home eggs that are at least a week old or put a couple of tablespoons of salt in the water. It was still a struggle sometimes! 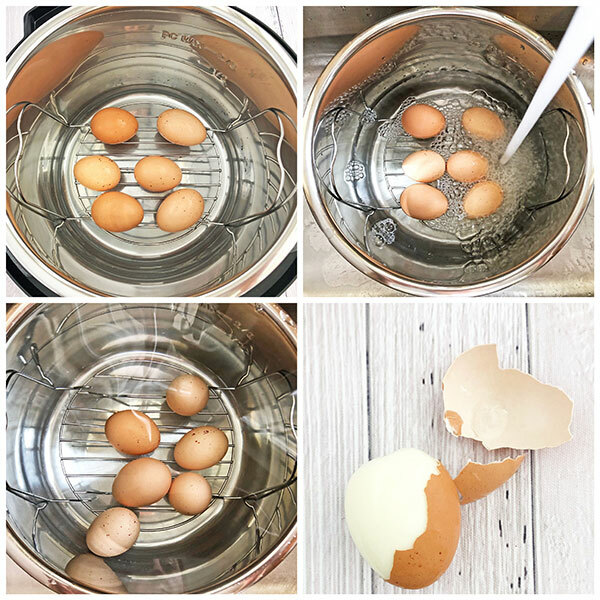 When I got my Instant Pot, I’ve been boiling home eggs there, it so easy to peel the shell off the egg. It separates so easily. And you don’t need to add salt or wait for the eggs to age. 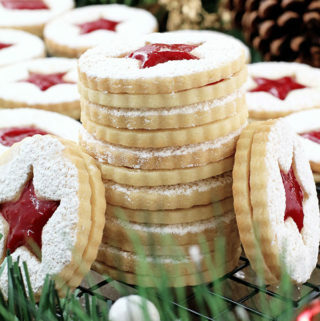 You can decrease the cooking time to your liking. If you like egg yolk a bit runnier then set the cooking timer from four to five minutes. We like the yolks to be thoughy cooked. That has not been the case with hard boiling the store-bought eggs. They peel perfectly most of the time if boiled on the stove top. 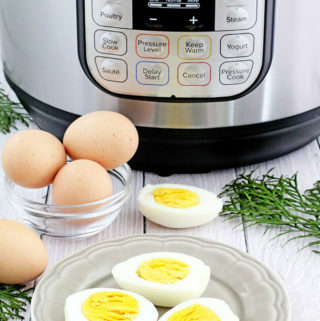 But you can also use instant pot to make store-bought egg. Its so much quicker! Place Instant Pot rack inside the inner Instant Pot. 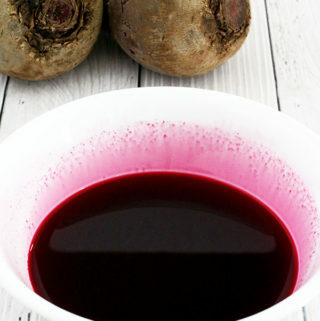 Add 2 cups of water into Instant Pot. Place eggs onto a rack. Click on Pressure Cook button and set the cooking time to 7 minutes. After the cooking time is over, carefully turn the pressure release to venting to release the steam manually. 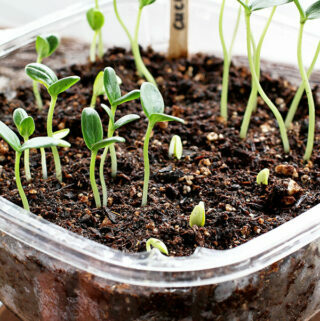 Finally, using kitchen mittens remove the inner pot of the Instant Pot, place under running cold water in the sink. 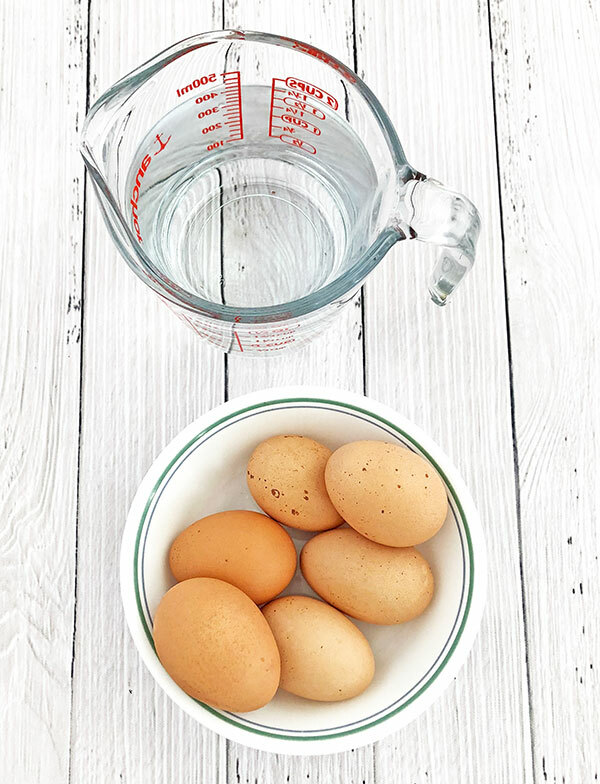 Let the water pour over eggs for a minute, then turn the water off and let the eggs sit in the cold water for 30 minutes or so. Peel when ready to serve. 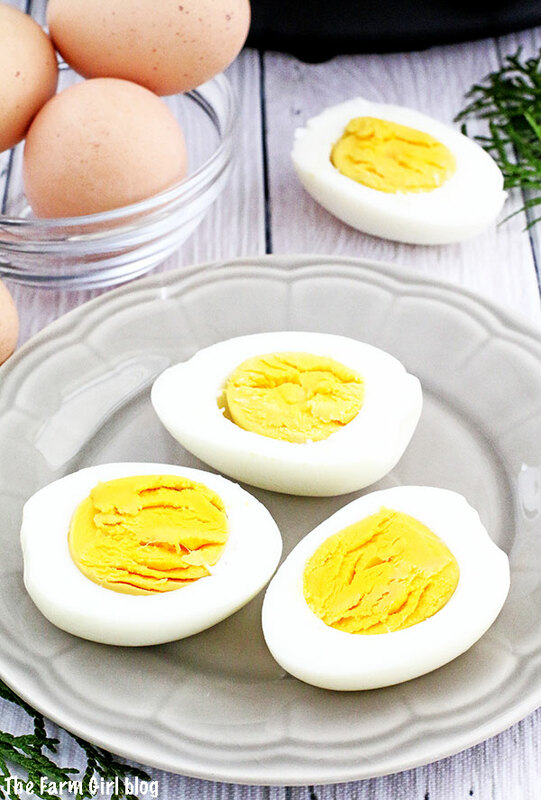 Store hard-boiled eggs in the fridge. Enjoy! Place Instant Pot rack inside the inner Instant Pot. 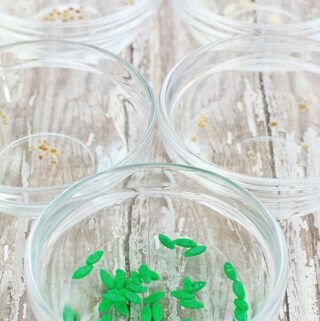 Add 2 cups of water into Instant Pot. 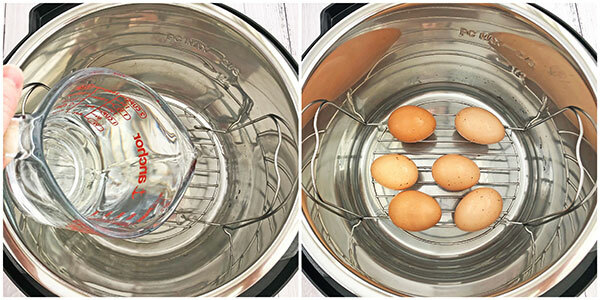 Place eggs onto Instant Pot rack. 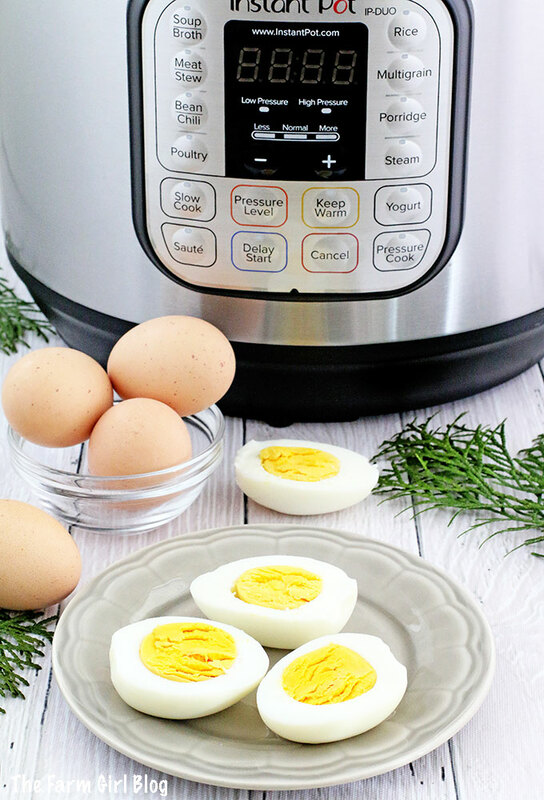 Love this Easy Instant Pot Hard Boiled Eggs post? Please follow me on Instagram, Pinterest, or Facebook for more! 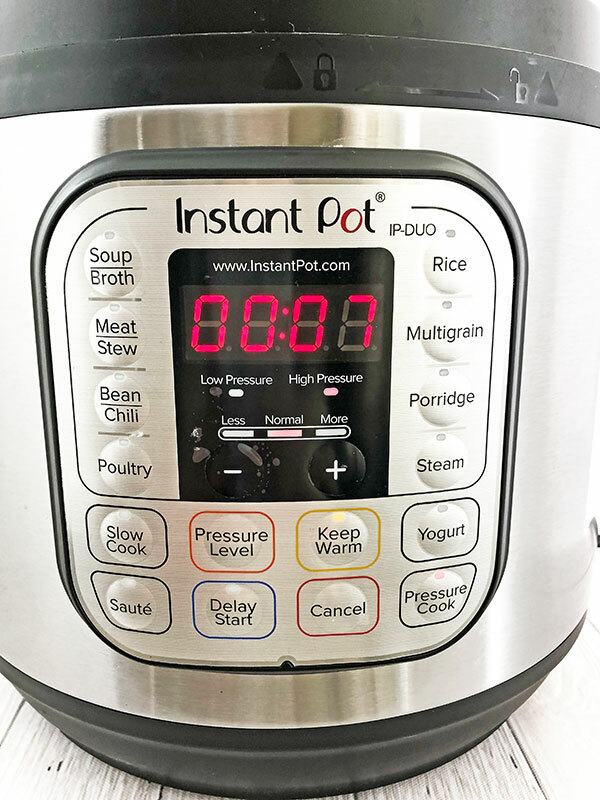 See how to Clean the inner pot of the Instant Pot post. Love what you see? 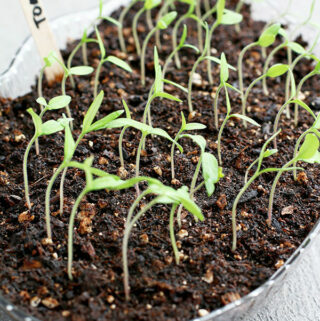 Save and Pin on Pinterest!